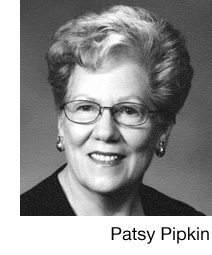 Patsy Pipkin, author of three collections of columns, the life story of a WWII veteran, and co-author of a pictorial history of Searcy, Arkansas, released February, 2012, by Arcadia Publishing. Now, she’s back to her first love—writing from her heart. Moving On . . . she shares light and laughter while ignoring birthdays.